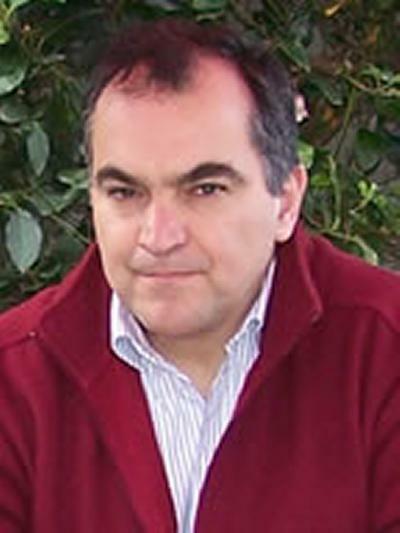 Dr Carlos Ponce de León Albarrán is Senior Lecturer, Energy Technology Group within Engineering and Physical Sciences at the University of Southampton. Carlos Ponce de León is a senior lecturer working as an electrochemical engineer in energy storage, water treatment, metal ion removal, characterization of novel electrode materials, electrochemical strategies for pollution control and redox flow cells for energy conversion. His research has been published in over 75 peer review papers and he has industrial experience in quality control (Schering/Proquina), data acquisition and fuel cells (Mexican Petroleum Institute), and analytical chemistry (Ciba-Geigy). He currently coordinates the MSc in Sustainable Energy Technologies as well as several teaching modules including: Introduction to Energy Technologies, Fuel Cells and Photovoltaic Systems and Nuclear Energy Technologies. The MSc in Sustainable Energy Technologies was one of the first postgraduate programmes offered in energy technologies and has attracted students from different disciplines all over the world creating an interactive learning interdisciplinary space and an opportunity for the students to networking. The purpose of this work is to manufacture self-organized oxide semiconductor nanotubes on a titanium alloy by electrochemical means. The anodised titanium is used as an anode in the degradation of organic pollutants in a photocatalytic reactor. Albarrán, C. P. D. L., & Rodrigues, C. D. A. (2018). Synthesis of self-organized nanostructured oxide for photocatalysis and photoelectrocatalysis application. In Advanced Materials and Systems for Electrochemical Technologies (pp. 175-210). Hauppauge: Nova Science. Palmer, M. J., Musker, A. J., Roberts, G. T., & Ponce de Leon Albarran, C. A. (2010). A method of ranking candidate catalyst for the decomposition of hydrogen peroxide. Paper presented at Space Propulsion 2010, San Sebastian, Spain. Ponce de Leon, C. (2010). Electrochemistry and Electrochemical Engineering (04 23103). Electrolysis and Electrolysers and redox flow cells, . Ponce de Leon, C. (2010). Redox flow cells: principles, characteristics and challenges. 3rd Meeting of the Mexican Society of Electrochemistry, Mexico.